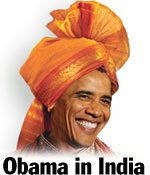 The White House press corps was briefed about President Barack Obama's visit to India next week. White House Press Secretary Robert Gibbs, Under Secretary of State for Political Affairs Williams Burns, Deputy National Security Adviser for International Economic Affairs Mike Froman and Deputy National Security Advisor for Strategic Communication Ben Rhodes were present. RHODES: First of all, as you've heard me say a number of times, we believe that Asia is critical to our foreign policy strategy. It's the fastest-growing markets in the world. It's fundamental to our export initiative. So India is a cornerstone of our broader Asia approach, which is focused on, again, expanding exports for US goods, deepening partnerships in important part of the world, partnering together in the G20 and other forums -- which Mike has the pleasure of representing us in. So, with that context, let me go through the schedule now. We leave on Friday, the 5th. We get there the 6th. The first event that the President will do will be a statement at the Taj Hotel where he's staying, to commemorate the Mumbai terrorist attacks. And, of course, India is a close counterterrorism partner of the United States. India has shown remarkable resilience in responding to terrorism. And the Taj, where the President is staying, was, of course, a centerpiece of those attacks in Mumbai. So the President wanted to take the time to pay his respects to the victims who lost their lives and to sign the guest book there, but also to make some brief remarks to an assembled group of people who are connected to those attacks. From that event at the Taj Hotel he'll move on and he'll visit the Gandhi Museum. I think it's important to note here that obviously one of the things that the United States shares with India is they're the two world's largest democracies. We believe that that's fundamental to our relationship; it makes it a qualitatively different relationship in the sense that we have shared interests and shared values. And,of course, the example of Gandhi is one that has inspired Americans, inspired African Americans, including Dr King, and it's very personally important to the President. So we're looking forward to visiting the Gandhi Museum to underscore those shared experiences and shared values. From there we're going to move on to a business summit that the US-India Business Council is putting together. We believe that India has a hugely dynamic and growing market and we want to discuss opportunities for how we can deepen our economic relationship. The President will participate in three events at the business summit. The first is a roundtable with entrepreneurs. The second is a roundtable with some US CEOs where they'll be able to discuss the challenges and opportunities around doing business in India. And then the President will deliver a speech to the business summit, so the speech the President will give that day is kind of the centerpiece of the day, again, focusing this day on the US/India economic relationship, the enormous potential for both countries to expand growth and opportunity for our people through that relationship. Then we spend the night in Mumbai. The second day has a number of events that are focused on the future partnership that we're trying to build with India and how it's a relationship that we really believe is going to be indispensable to shaping the 21st century. The President is going to begin the day by visiting a school in Mumbai, a local school. Diwali, of course, a pre-eminent Indian holiday, will be taking place during the President's visit, so he will visit a school and help -- participate in celebrations around the Diwali holiday that morning. Then he'll go to a town hall with university students, and at that town hall he will, again, have the opportunity to talk about the future -- speaking to young people -- about the future partnership that we're trying to build as we take the US/India relationship to a new level. On the margins of that town hall, we're going to have a couple of events -- roundtables -- that focus on particular areas of partnership that the US and India are pursuing. One is on agriculture and food security. And the US and India -- India, of course, has had tremendous success in helping lift some of its people out of poverty through agricultural innovation. And our partnership with them has been strong in that respect. And this is an opportunity to talk about that partnership, and also its potential to service our broader food security initiatives in places like Africa, as well as continuing to advance our bilateral cooperation with India. Secondly, democracy -- I mentioned the close ties we have as the world's two largest democracies. You heard the President speak at the UN General Assembly about his commitment to open government as a part of how we advance democracy around the world. So what we want to do is highlight some of the successful innovations that India has as the world's largest democracy in terms of the ways in which it uses technology and innovation to empower its citizens and civil society, as well. So the President's, again, main public event that day is the town hall, which is its own event there in Mumbai. From Mumbai, we then move on to Delhi. And the first event that the President will do in Delhi is a cultural stop. He's going to visit Humayan's tomb, which is one of the great cultural marvels in New Delhi. And the President felt it was important give the rich civilisation that India has to pay tribute to that through this stop. And then that night, the President and the First Lady will have a private dinner with Prime Minister Singh and his wife. I'll just state briefly on that, no leader -- the President has had a very close personal relationship with Prime Minister Singh from his first meeting in London at the G20. As much as any leader in the world, I think he's somebody who has had a close intellectual connection with the President on a range of issues surrounding economic growth and development, so he's very much looking forward to this opportunity to have a private dinner with the Prime Minister. Then the next day in New Delhi is the official programme. It will begin with a wreath-laying at Gandhi's grave -- again, another opportunity to pay respects to that huge historical figure in our history, as well as India's. Then the President will have a bilateral meeting with Prime Minister Singh. And we expect they'll have a press conference after that bilateral meeting. Throughout the day, the President could have a number of meetings with other Indian officials. We, as the schedule gets locked in, will make those available to you. And then the main event of this day is the President will address the Indian Parliament that afternoon. The President was honoured to be invited by the Indians to speak before their Parliament, and, again, I think here will address the broad range of issues on which the US and India cooperate -- political, security and economic -- and the alignment we have with the Indians on a number of issues. And then that night is the State dinner. The Indians are hosting a State dinner. And the President will meet, I believe, with President Patil before that dinner, and then he and the First Lady, of course, will attend the state dinner. And then the next day -- we'll spend the night in New Delhi that night, and then Tuesday, the 9th, we'll leave and move on to Jakarta. Journalist: Okay. I also wanted to make one more run at a question that came up a few days ago to you, Robert, about whether -- what was the specific reason why the President opted not go to the Golden Temple, which was something that was in his tentative plans? RHODES: I've been leading our trip planning here, so I've known this trip at every stage of our development. It's a big country where we'd like to do a lot of things. It's an extraordinary country and we can never do as many events as we'd like to do. We send advance teams to far more places than we're ever going to visit. I think if you look at -- the schedule that we ended up is the schedule that best advances the purposes and interests of the trip. We've got a very packed three days in Mumbai and Delhi that speak to those priorities, that reach out to the Indian people as well. So we arrived at the schedule we arrived at because we thought it was the best way to have a successful trip. We've visited multiple religious sites -- mosques, churches, synagogues -- on foreign travel. We'll do so on this trip, probably in Indonesia. So I think that the decision we made was driven by, again, the interests of time, how to best advance our common interests with India in these three days. And, unfortunately, we're not going to be able to get to get to every place we advanced. RHODES: We make the decision about the schedule based on the best way to advance our goals for the trip. And with three days, we just thought that, when we really crunched it, Mumbai and Delhi, with a very packed official program, that the schedule we arrived at for those two cities filled up our time successfully. Journalist: What was the President's reason for going to the Golden Temple, had he gone? What was the reason he was planning it? RHODES: When we look at different stops to potentially visit, and we looked at a broad range in India -- and so I don't want to kind of get into litigating out places that we're not visiting beyond saying that we usually try to incorporate a cultural stop, cultural outreach into our trips. He has very much enjoyed in the past his opportunity to pay respects to the vast diversity of cultures around the world. In India, you have one of the most dynamic and tolerant and diverse societies in the world and we want to pay tribute to that. And I think that's particularly why, for instance, we wanted to have an event where we could celebrate in some fashion Diwali with Indian young people, and why we wanted to ensure that we had a culture stop in Delhi, in this instance visiting a tomb that has served as a precursor to the Taj Mahal and speaks to the huge -- the enormously impressive civilisation that India has had over many centuries. Journalist: Would you consider going there in the future? RHODES: Certainly we wouldn't rule out any visit in the future. And, hopefully, we'll be able to return to India. But right now, we're focused on this upcoming trip. Journalist: Will the President talk publicly or privately about Kashmir and the tensions between India and Pakistan? 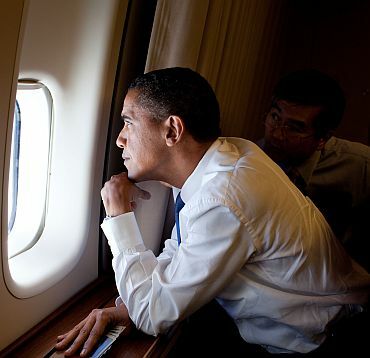 Obviously, any progress there might provide a effect on the campaign in Afghanistan and Pakistan, and the US campaign. And can you talk about why he decided to go to Pakistan next year and not on this trip? RHODES: The President believes that the US relationship with India and the US relationship with Pakistan does not take place within any kind of zero sum dynamic. It's often been viewed that way in the past, that if we become closer to one it's at the expense of the other. And we've tried to send the signal that it's the opposite with this administration; that, in fact, actually you see that borne out in the fact that we had a very successful strategic dialogue here, with the Pakistanis in town last week, discussing greater security cooperation in governance and economic issues. And as a part of that, the President met with the Pakistani delegation and ended up speaking to President Zardari yesterday to discuss that strategic dialogue and said that he'd very much like to visit Pakistan next year and is planning to visit Pakistan next year. On this specific trip, again, we have a limited amount of time. We have hard dates in terms of summits that we're attending in Seoul and in Japan. And we have a very robust program in India on the front end. And so he wanted to make sure we have the proper focus on that Pakistan trip when it does take place. So he looks forward to that visit. Again, we don't see it as kind of a zero sum equation. I think the strategic dialogue speaks to the fact that we're cooperating closely with Pakistan just as this visit speaks to a deepening relationship with India. BURNS: And the only thing I'd add is that we have always welcomed dialogue between India and Pakistan and certainly encouraged efforts to improve relations between those two very important countries. Obviously, the pace, scope and character of that dialogue is something that Indians and Pakistanis have to shape. But we'll continue to both welcome and encourage it. Journalist: How big a delegation will it be? And do you have a sense of the schedule of the First Lady when she is in India? And, secondly, Under Secretary Burns, you were in India a few days ago. What's the mood there, what's the sense of the welcoming of the President? RHODES: I think a number of US officials will be attending in addition to the kind of White House staff that normally goes. I know Tom Donilon is going, our new National Security Adviser. Secretary Locke, given the Commerce Department's role in some of the business events, will be attending. And I discussed, for instance, the agricultural cooperation -- Raj Shah, who is our USAID Administrator, also -- I think our highest-ranking Indian American in the administration -- will be going. So there will be a number of US Cabinet officials, as well as a number of senior White House and NSC staff going. The First Lady is going to be with the President -- let me just add, too, because I know that there's different reports in the Indian press. 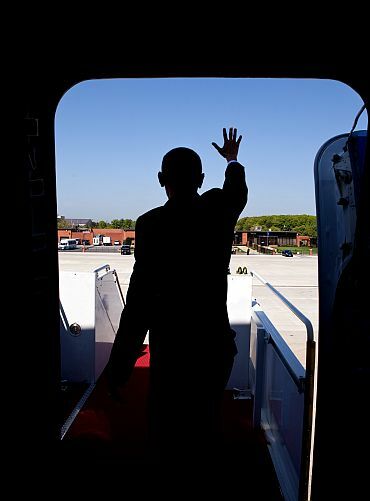 The children, Sasha and Malia, are not coming. It's during their school year, of course. But the First Lady is coming. We'll be announcing some independent events that she'll be doing. She is, however, accompanying the President to a number of his events, such as, again, the Mumbai town hall, the Diwali celebration -- and so the cultural stops. She'll be with him for certain things, but we expect her to do a couple of independent events. We expect that they'll be related to education and the empowerment of women and girls. So we'll get you the information as soon as her schedule is locked. Journalist: Is she only going to India, though? Not the other? RHODES: I believe she's going to India and Indonesia and then peeling off. There have been, as there always will be, critics who've tried to make a big deal out of the fact that the President has booked the entire hotel. And I was wondering if you'd speak to the necessity of that, and also the benefits derived from it? RHODES: Well, all I'd say about that is we take our guidance from the Secret Service and our security personnel as to what precautions are necessary to ensure that the President has a safe visit. So, again, that decision is made -- is not made by us. It's made by the professionals who know what the requirements are. So we follow their guidance. RHODES: Well, no, I think we always just have -- again, the Secret Service makes their own evaluations. Again, I would underscore we think that India is a strong and safe and resilient country that is -- with effective counterterrorism. But again, with respect to our own security requirements, we're just guided by Service on that and so I wouldn't be in a position to comment on it. Will the President be making some public remarks explaining the US position on Kashmir? And will he also be addressing -- explaining the US relationship with Pakistan publicly? RHODES: I wouldn't -- I don't want to get into prefacing with precision what his comments are, in part because he'll be answering a lot of questions there in the town hall and press conference and we haven't -- we're still working through his remarks on certain things. So I will say that he'll -- I think to echo two points that have been made, on the first question, I think we do support efforts by India and Pakistan to pursue a dialogue with one another, so we'll express support for that, as we always do. And on the second, I think the point I made is an important one, which is that we believe that a positive relationship between the US and Pakistan, a deepening relationship between the US and Pakistan, does not in any way, shape or form have to be seen through a zero-sum lens as it relates to India, and that we want to take the US-Indian relationship to a new level on this visit. We want to expand cooperation on economic issues, but also on security cooperation, counterterrorism and military ties, cooperation on issues like clean energy and, again, as the world's two largest democracies, working together both bilaterally and also around the world. And, again, we believe that both of these goals can be -- I mean, our central message -- and it's a message, really, to the region -- is that both of these relationships can be advanced and deepened at the same time on a parallel track, and that that does not in any way demonstrate a preference for one relationship over the other, that these things can be mutually reinforcing, in fact.